AT&T announces GSM/GRPS network expansion and new service plans. AT&T announced today that they started to offer their GSM service now in Boston, Los Angeles and Pittsburgh. 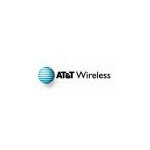 The AT&T Wireless next-generation network is based on the GSM/GPRS global standard and is already available in hundreds of U. S. cities. In addition to providing reliable voice services, the next-generation network gives customers access, through AT&T Wireless mMode Service, to information, news, games, and, most importantly, each other. Using a tiny camera that attaches to a wireless phone, customers can even take and send photos to any e-mail address in the world. AT&T also announced new Charter service plans, which allow the customer a choice between unlimited calling for $99.99 (long distance and roaming included) and 1000 anytime minutes for $39.99 (long distance included).